Lagos Shaggy Rugs. Offer a deep chunky pile that is perfect to rest your tired feet on after a hard day. Lagos rugs are made in earthy tones and will compliment most décors modern or traditional. Each rug incorporates three different colours to give a multi coloured effect that is quite simply stunning. 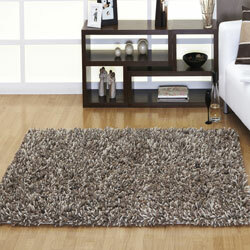 Lagos rugs are handwoven, the pile length is around 7cm and is made from soft 100% pure wool.